PokerStars is celebrating the second anniversary of its three-handed, hyper-turbo lottery games by running a Spin & Go 2X Challenge promotion. 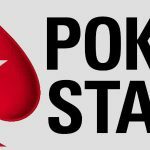 A little over two years ago, PokerStars rolled out its three-handed, hyper-turbo Spin & Go games on its .com and .eu sites after successfully trialling them in Spain, France and Italy. The games were an instant success and, within days, more than 7.5 million games had been played. The site has taken advantage of the popularity of the Spin & Go games to base many of its subsequent promotions around them. We´ve had “Spin & Win a Million”, “Spin & Go on Holiday”, and “Spin & Go to the EPT Malta”. There has even been a Christian Ronaldo Special Edition in which players could win a $450,000 supercar. Now PokerStars is launching a second anniversary Spin & Go 2X Challenge promotion in which players can win up to $20,000 each day. Spin & Go games are three-handed Sit & Go games in which players start with just 500 chips (25 Big Blinds). Blinds increase rapidly each three minutes and the games are usually played with a winner takes all format. Buy-ins start at $0.25 and rise all the way up to $100.00. Before each game starts, a random prize is drawn. Around three times out of four, the random prize will be 2 times the buy-in. However, the random prize can go up to 12,000 times the buy-in – in which case the winner walks away with 10,000 times their buy-in and the second and third placed players each receive 1,000 times their buy-in. The opportunity to won a massive prize is not the only reason PokerStars´ Spin & Go games have become popular. There is usually no waiting around for a game to start like regular Sit & Go games, the game is usually completed within five minutes, and the structure of the game does actually help you improve your poker skills – especially preparing for your endgame in bigger poker tournaments. 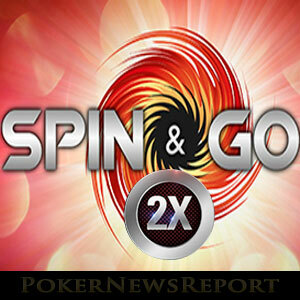 The Spin & Go 2X Challenge is a player-specific promotion. 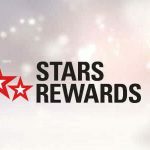 What this means is that each day you want to take part in the promotion, you will have to opt in through the Challenge window in the PokerStars client. 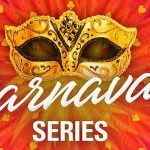 Once opted in, a random prize of up to $20,000 is drawn and you will receive instructions on what you must do in order to complete the challenge and win the prize. The challenge will typically be to collect 100 Points by winning or finishing second in a Spin & Go game with a prize multiplier of 2x. If you play in a Spin & Go game that awards a random prize of 10x or higher, you automatically complete the challenge. If you play in a Spin & Go game with a random prize of 4x or 6x, your finishing position does not contribute to completing the challenge. Each player starts their challenge with 20 Points already in the pot. This is because if you come third in a Spin & Go game with 2x prize multiplier, you lose 5 points. The difference between the challenges allocated to different players is that they are based on previous historical gameplay and preferences, and this will reflect in the points that are awarded for finishing first or second in a Spin & Go 2X game, and the minimum buy-in levels that qualify for the promotion. PokerStars was not the first online poker site to introduced three-player, hyper-turbo Sit & Go games, but it has taken the popularity of the lottery-style poker game to a new dimension. 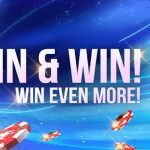 Consequently, if you like Spin & Go games, there is nowhere better to play than at PokerStars – especially while the Spin & Go 2X Challenge promotion is running.